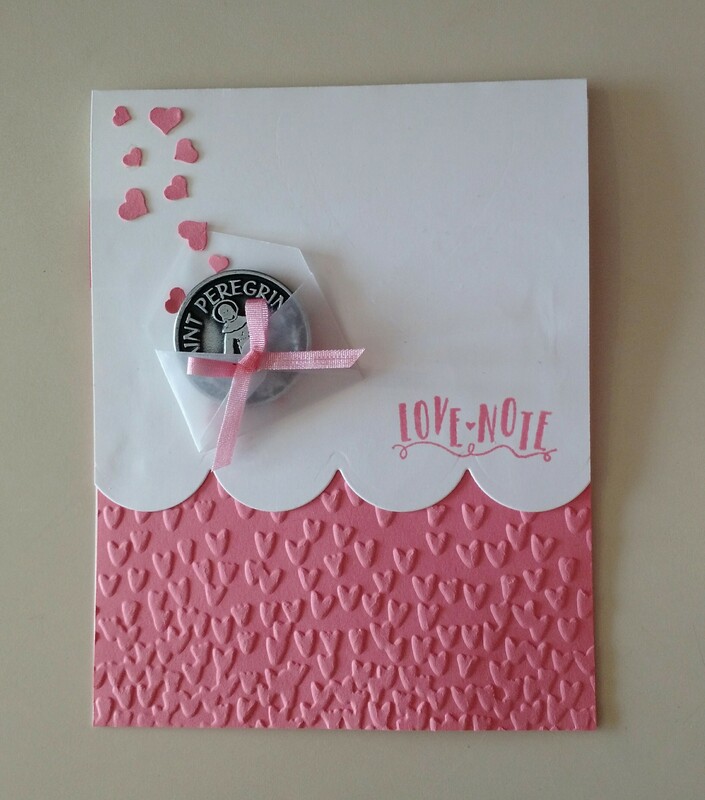 Dedicated to making a difference with hand-stamped greeting cards. 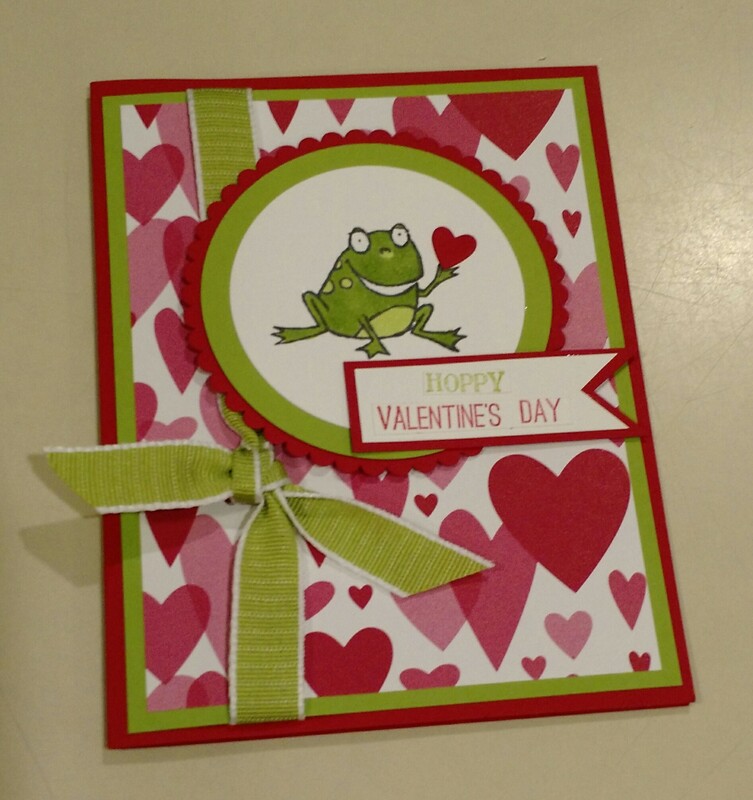 Happy St. Valentine’s Day Stamping Friends! Hello Stamping Friends! And welcome to those of you who have joined our little Stamping Peace family in the past couple of months. 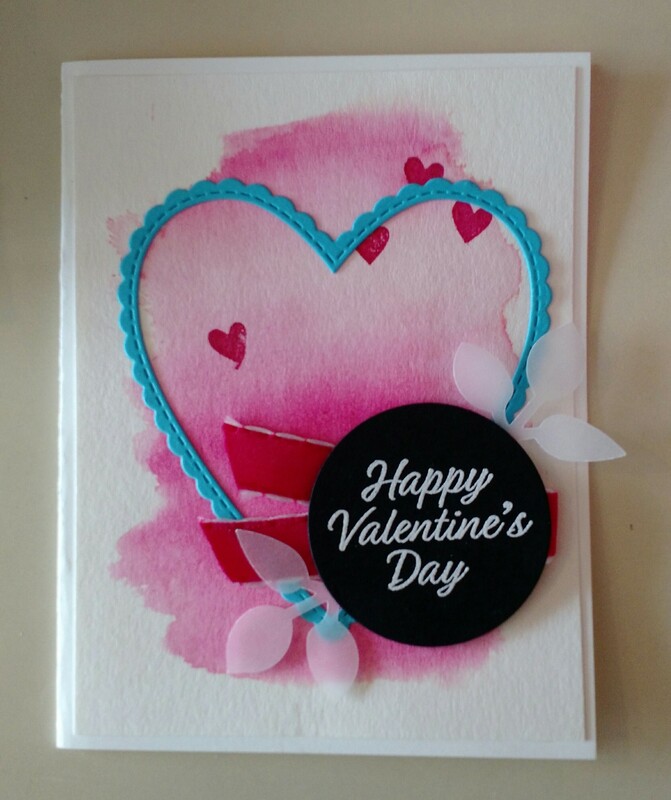 I hope everyone is having alot of fun making Valentines for your loved ones! I have made a ton of these cutie pies. I gave them out at all my stamping classes in January as a “party favor”, and I’m going to give them out to the residents at the Assisted Living Center that I volunteer at. There is a chocolate behind the tea bag, and the tea bags I found in the “Nature’s Place” aisle in our grocery story. On the back of the tag it says “I’m ape over you”….such a fun new stamp set! Soooo, this card has a little story behind it. There was a woman demonstrating the new “So Hoppy Together” Sale-A-Bration stamp set at convention in Orlando in November. She was showing us how to mask the frogs so they could stand together and the “girl” frogs hand sort of ended up in the wrong position! The woman’s face turned beet red and the thousands of us in the audience were roaring with laughter. 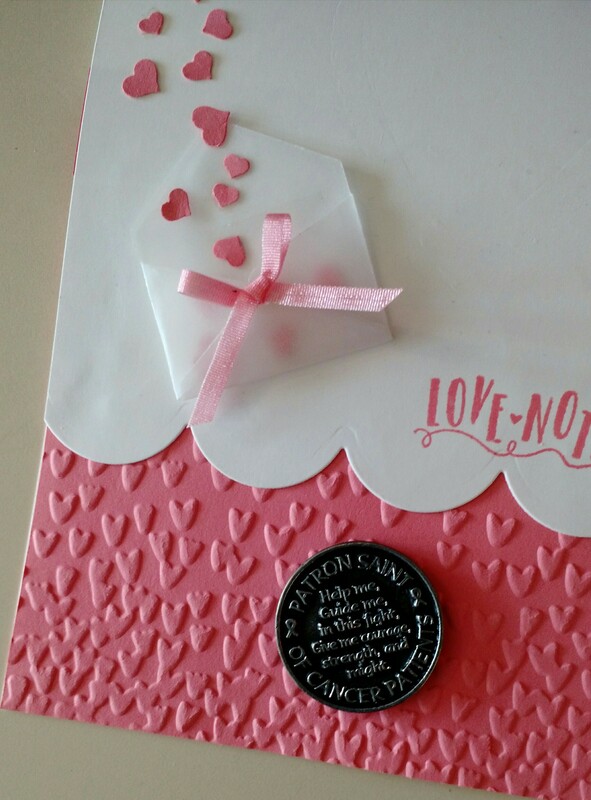 I couldn’t tell you what her card looked like, but I made up this one as a joke to showcase to my stamping classes. So silly, but funny! 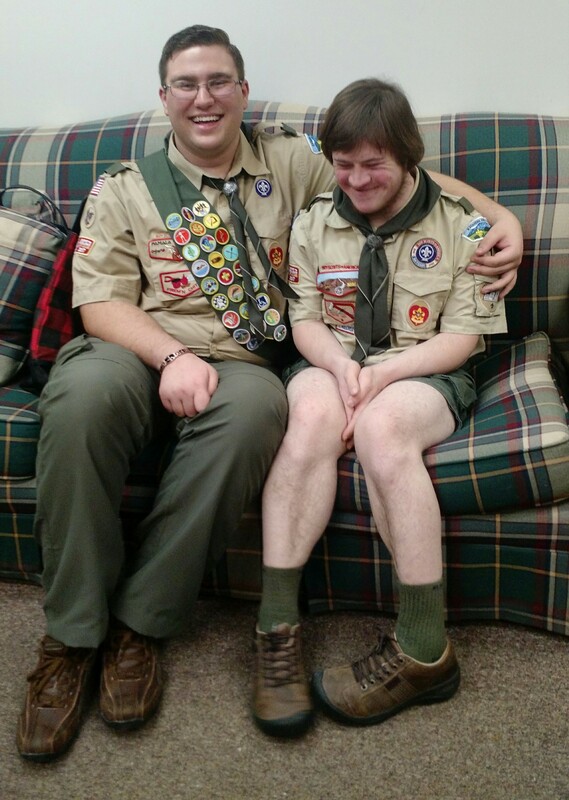 Two friends have recently been diagnosed with cancer. If you could say a little prayer for them, every little bit helps! Mary was diagnosed with breast cancer and Becky with pancreatic cancer. I made this card for Mary, to send along a little St. Peregrine, Patron Saint of Cancer patients, medallion that I found on-line at St. Patricks Guild. 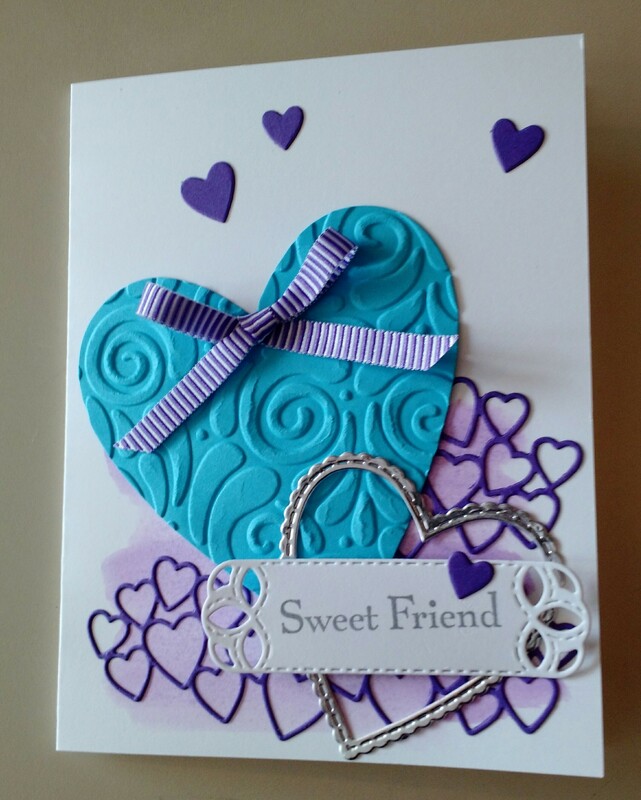 This is a Rhonda Griffith design that I tweaked a little bit by using a cardstock base instead of a foil base. 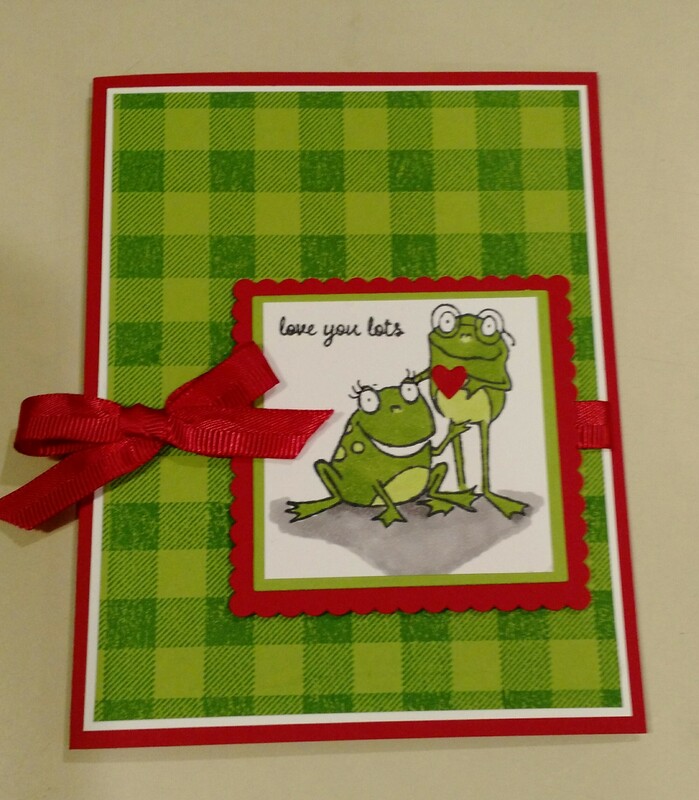 It showcases the new “All My Love” Designer Series Paper (DSP) so beautifully, and the little frogs are just plain fun to work with! Until next time, I hope you get time to stamp some love.